Wildlife sound recordist Chris Watson narrates the first in a series of audio postcards capturing spectacular wild sound events, beginning in the Kalahari desert. Wildlife sound recordist Chris Watson introduces the sounds of the city on Match Day in Newcastle upon Tyne in the second in a series of immersive soundscapes. 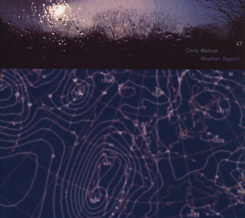 Wildlife sound recordist Chris Watson introduces the extraordinary sounds which accompany the movement of the tides on the Wash, in this series of immersive soundscapes. 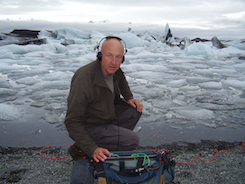 The extraordinary and powerful sounds of a glacier calving are captured by wildlife sound recordist, Chris Watson in this series of immersive soundscapes.